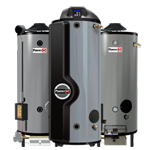 Perfect Fit™ Commercial Water Heaters offer a complete line of Heavy-Duty and Light-Duty products for all your commercial water heating needs. Our commitment starts with truly innovative products that deliver cost-effective solutions for all types and sizes of commercial applications. For hundreds of businesses, hot water is an absolute necessity. 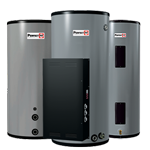 The commercial water heater market is driven by immediate demand – without hot water, there’s no business. Perfect Fit™ meets the needs of the majority of commercial water heater installations in the market with a small number of skus, allowing you to be successful with readily available products. Perfect Fit™ gives you the tools necessary for you to reach the commercial market and show the advantages of buying at your store.